Château Cantemerle is located in the southern part of the Haut-Médoc, close to the border with Margaux, which is probably one of the reasons for the rather charming Médoc style of this Château. The estate has an unusually long history, it was already mentioned in the 13th century. In 1855, Chateau Cantemerle was classified as a Grand Cru Classé for its outstanding wines. An impressive 93 hectares belong to the estate, 90 of which are planted with vines. 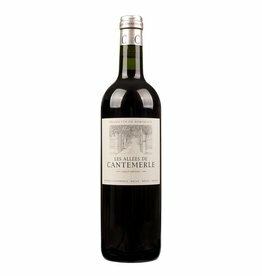 The wine of Chateau Cantemerle you can usually enjoy young, but it improves in the bottle for a very long time and continues to develop positively. Even softer is the second wine les Allées de Cantmerle, which is produced from the younger vineyards and is always a good buy.